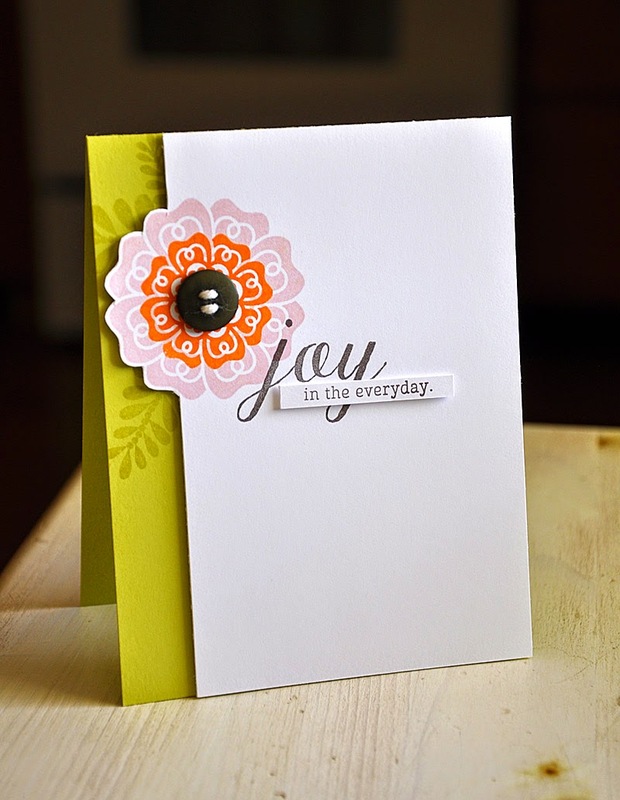 Simply Stamped: SAF Free Exclusive: Filled With Joy! Papertrey Inks Stamp-a-faire begins tomorrow!!! For today the design team and I are sharing projects using the SAF exclusive set... Filled With Joy! Saturday, August 23rd is the BIG day to earn the Stamp-a-faire exclusive stamp set, Filled With Joy ($15 value). This stamp set will be available for free on Stamp-a-faire day (August 23, 2014) to all customers who make a qualifying purchase of $100 or more between 7am EST and 11:30pm EST, limit one per customer. -Filled With Joy is limited edition for this years Stamp-a-faire event. It will never be made available for sale. -Filled With Joy can be earned for FREE on Stamp-a-faire Day only, August 23rd, as a freebie to all customers placing an order of $100 or more, limit one set per customer. -Qualifying orders need to be placed between 7am EST and 11:30pm EST that day only. This simple sample of the feature stamp set features a floral focal point stamped in the colors of sweet blush, orange zest and limeade ice. 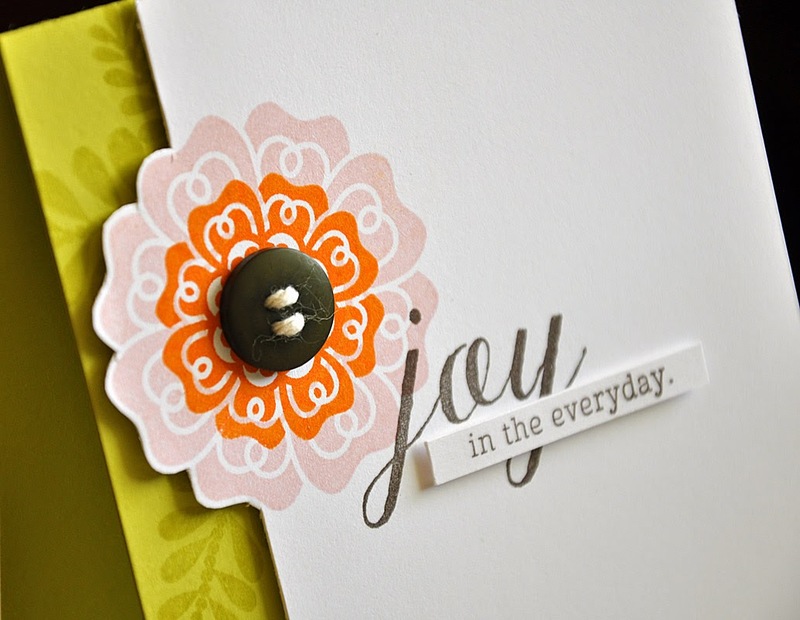 This lovely layered sentiment is perfect for any number of occassions. We hope you will take advantage of this great opportunity! Love how you've stamped the leaves on the green base. Looking forward to my first SAF event and playing with my very first PTI products! Love this! So striking in its simplicity. Great color choices and love the design! Maile - Love your card especially how you partially cut out the flower - really love that detail. A few simple elements with big visual impact... Wow!